Musical Arc | "At the fore-front of disability music." Musical Arc is an inclusive organisation which supports and inspires people with physical / sensory impairments to play music in a range of styles and to compose original works. The group leads music workshops within schools, the work place and the wider community and frequently perform in and around Leeds. 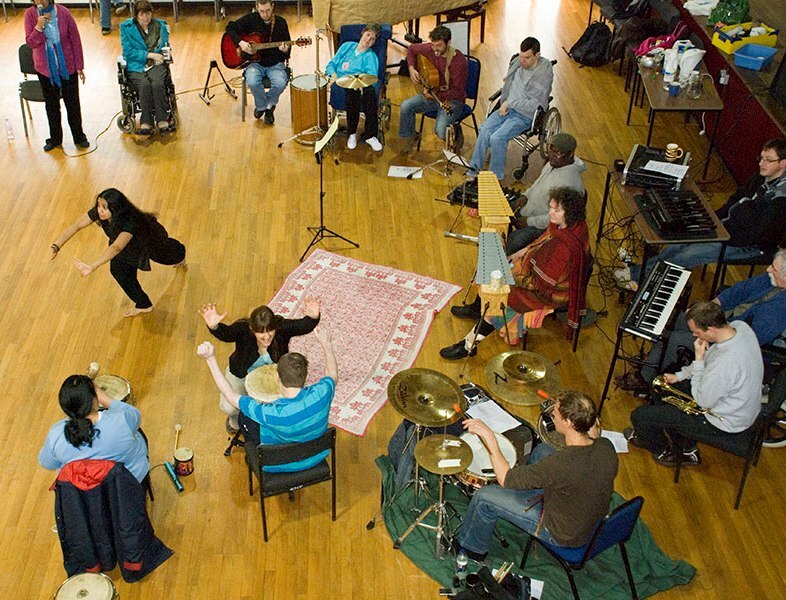 The group often collaborates with musicians and artists from a range of art forms including dancers, storytellers, poets, writers, puppeteers and composers.